We’re back with another interview as InterviewFX rolls on! This series brings you advice from authors, entrepreneurs, marketers, and other experts to help you manage your business and your online marketing a little bit better than before. 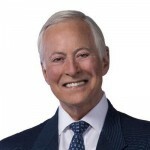 Today we focus on productivity as we talk to Brian Tracy, author of the best-selling time management book “Eat that Frog.” Check out what our Brian Tracy interview has to say about waking up early, making checklists, and getting things done. 1. Why is it so important to “eat the frog” and focus on the biggest task first instead of starting with the smaller, easier tasks? The important thing is the 80/20 rule: 80% of the effects come from 20% of the causes. This means that if you’re doing ten tasks, two are going to be vastly more important than others. When you make a to-do list, you should also make a to-not-do list. Warren Buffet was asked about the secret to success, and he said that it was saying no to almost everything. Some of those little tasks won’t matter as long as you get the big tasks done. 2. How do you actually make yourself do that consistently? You do it repeatedly so it becomes a habit. You wake up and find the most important task and then do it first thing every single day so eventually it becomes automatic. 3. 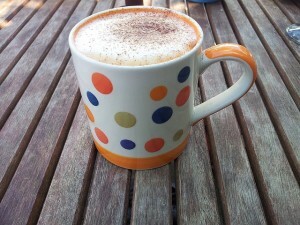 Why is the morning the best time to do your most important work? You’re freshest and most wide awake. As the day goes on you get more and more tired. Even if people say they’re afternoon people or evening people, it’s always best to start out first thing in the morning with your most important task as opposed to your email, phone calls, or checking the internet. If you start out with that then basically you’ll just do that all day long. 4. To follow up on that, I’ve heard people say to get up even earlier than they normally would. Do you recommend that? There’s an interesting study that says wealthy people get up three hours before their first outside appointment. Many successful people get up before 6am in the morning. They have rituals. They exercise, stretch, organize their day, and walk through that series of rituals. Unsuccessful people get up whenever they feel like it and the first thing they do is watch television, read the paper, or check email. The rest of the day is pretty much 50% below maximum performance. If you get up by 6am, exercise, plan your day, and start on your biggest task, then your whole day is different. If you do this regularly it becomes a habit. 5. How can marketers use checklists to be more productive? The checklist is one of the most high powered productivity tool ever discovered. Everything in life is a checklist, whether it’s building a birdhouse or building a kitchen. If you don’t have a checklist, you’re much more likely to forget something. There’s a pretty good book called The Checklist Manifesto. They were looking at medical procedure that had six steps. One hospital had an 80% mortality rate. People came in with a pretty simple problem, but 80% were dying. They went back and asked why this was happening. There were six steps that had to be followed. However, each person involved assumed that someone else was doing it. So what they did was they made a list and attached it to the persons file with boxes and places for initials. The fatality rate dropped by 90%. It’s a very simple example to show that if you miss one step in a process in can cost you an enormous amount of time and money to fix. With a checklist, you can write it down and give it some someone else for them to do successfully. Checklists require discipline and organization, which is something internet marketers have to master.